I stripped about 200 feet of Elm bast yesterday, here it is rolled drying. It will need to be soaked again when I have a seat ready to weave it onto. 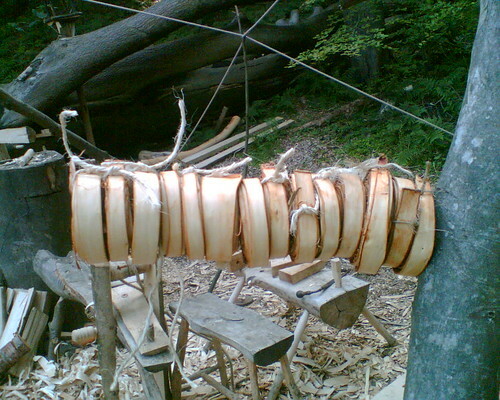 This entry was posted in Green woodwork and tagged elm bast seat weaving weave by Flying Shavings. Bookmark the permalink.